So, what would happened if you buy that black and decker part? Nothing much, but not doing so would save you some money. Black and Decker is one of the most popular brands of home coffee makers today. 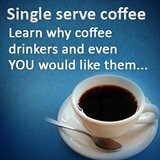 It is known for its low-cost coffee makers, from single serve to 12 cup coffee makers, as well as its thermal coffee machines, or coffee makers that have stainless steel thermal carafes. 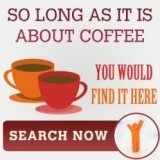 This article is not telling you to stop buying Black and Decker coffee machines, but a particular Black and Decker coffee maker part. The Black and Decker Coffee Maker part that I’m referring to is the carafe. 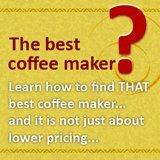 If you happen to break this particular Black and Decker coffee maker part for your Black and Decker 10-cup or 12-cup coffee maker, then before you buy a Black and Decker replacement carafe, we strongly suggest that you try to see if the 10-cup or 12-cup Gemco Universal Replacement Carafe is compatible with your Black and Decker coffee maker. Why the need to compare? Here’s why: an original Black and Decker 10-cup replacement carafe costs around $16, while the Gemco 10-cup Universal Replacement Carafe, which is compatible with some Black and Decker 10-cup coffee makers, costs under $9, and sometimes even lower if you find a good deal in online stores such as Amazon or Ebay. So in other words, there is a significant price difference. Take note though, that the Gemco 10-cup and 12-cup universal carafes are not compatible with all 10 or 12-cup models of Black & Decker coffee makers. This is why it’s advisable to check and see if the Gemco universal replacement carafe is compatible with your Black and Decker coffee maker. Coffee blogs, which discuss all things about coffee, around the net recommend the Gemco universal replacement carafe, since it’s cheaper, and it has no negative impact to your coffee experience. It has a heat-resistant rubber handle, a flip-top lid, visible markings that indicate cup measurements, and a sleek silver lining around the top. 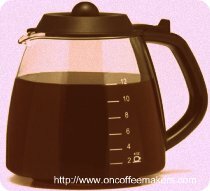 To reiterate, if you happen to break your Black and Decker 10 or 12-cup carafe, consider buying the Gemco universal replacement carafe before you buy a Black and Decker replacement carafe or even worse, a new Black and Decker coffee maker if you can’t find this Black and Decker coffee maker part. 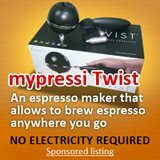 But before you do so, check and see if it is compatible to the model of your Black and Decker coffee maker. You’d be surprised at the money you have saved, thanks to the Gemco universal replacement carafe.